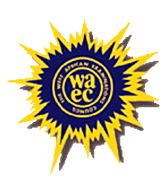 The West African Examinations Council (WAEC) is an examination board that conducts the West African Senior School Certificate Examination, for University and Jamb entry examination in West Africa countries. Established in 1952, the council has contributed to education in Anglophonic countries of West Africa (Ghana, Nigeria, Sierra Leone, Liberia, and the Gambia), with the number of examinations they have coordinated, and certificates they have issued. They also formed an endowment fund, to contribute to the education in West Africa, through lectures, and aid to those who cannot afford education. The council issues credible and reliable certificates to candidates that participate in the Examinations. And the standard of this certificates matches with that of the United Kingdom. This is because the WAEC Ordinance empowered the council to conduct Examinations and award certificates, provided the certificates don’t have a lower standard compared to their equivalent certificates of examining authorities in the United Kingdom.